Life is all about learning, and there’s always something new to try at Jerry’s Artarama. Whether you stop by to test out some interesting new products during our free demonstrations or want to attend an event with a local artist, we have plenty of offerings to round out your creative calendar. Customer service is what we’re all about, and everyone here at Jerry’s Artarama loves helping people. All of our helpful employees are artists themselves, and all of them are happy to walk through the store with you to help to find what you need. But we go the extra mile for our customers with our free art events and demonstrations. Get the low-down on the latest techniques and enjoy an opportunity to play around with some of our favorite supplies. See what’s coming up in our Nashville art supply store. Building a community of artists is important to us, and that’s why we seek out the most talented people we can find in the area to show off their skills during our demos and events. This is a great chance to touch base with other artists near you to brainstorm solutions to common problems or to chat about your ideas. Our artists are friendly and great at what they do. That’s true when it comes to their artwork and with their ability to impart knowledge to others. 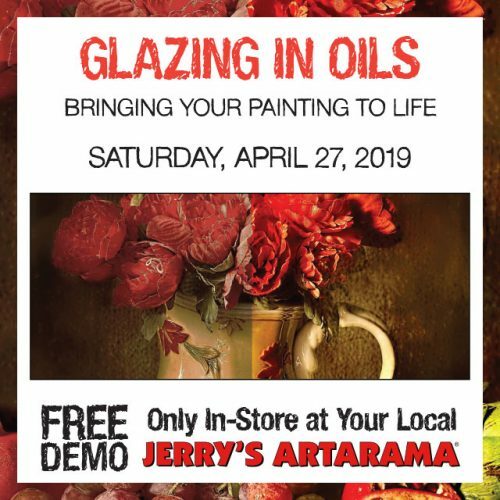 Come to Jerry’s Artarama on Saturdays for our free demonstrations to test out a range of art supplies, or keep your eyes on this page to sign up for events that you’ve been meaning to try. Who knew that a Nashville custom framing and art supply shop could be so much fun? When you visit our convenient location on Fridays and Mondays, you can enjoy a complimentary beverage as you browse our selection of tools and materials. Consider it a Nashville art supplies happy hour on Wine Down Fridays, when we pour you a glass of vino to sip as you stock up on your supplies for a creative weekend. To get a jump start on your week, come back on Monday morning for coffee and treats. It’s our way of thanking our loyal customers for their business, and it’s a great way to slow the pace of your day and relax into your creative self. 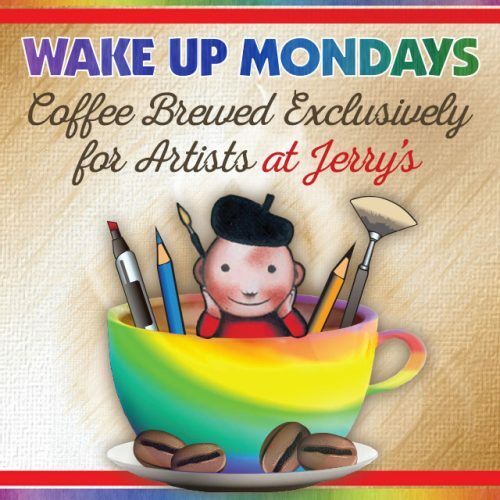 Whether you come for the coffee and stay for the conversation or just want a place to meet with other artists, Jerry’s is your hub for artistic gatherings of all stripes. At Jerry’s Artarama of Nashville, we believe that you spend your whole life learning. That’s why we’re so happy to provide art events and demos to our larger community. We’re always looking for new ways to inspire people, and our art events are a great way to meet like-minded artists and learn exciting new techniques. Visit our store, conveniently located in East Nashville, today to find out more about our available and upcoming events.